The video shows Phoenix, Arizona resident discussing the cost of teeth restoration in Mexico. Mouth restoration includes a range of dental procedures like tooth whitening, smile redesign and cosmetic dentistry treatments for all forms of teeth and smile makeovers. Some other procedures it covers are power bleaching of your teeth, gum lift, teeth shaping, veneers implantation and crowns. Other than your teeth, cosmetic dentists can also redesign your lips by for a pouty look. Watch this video to hear from a Phoenix resident about his dental treatment in Mexico. Apart from the affordable cost of full mouth restoration drawing a number of patients, especially from countries like the US and Canada, heading for procedures such as dental implants, bonding and whitening, following are some other major reasons for this increase. 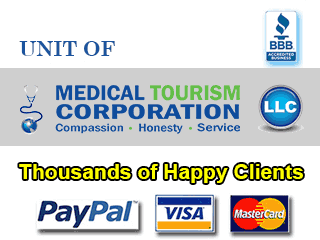 Fully equipped dental clinics and hospitals offering global standards of treatment. Well-trained dental surgeons with international credentials providing quality cosmetic dentistry. With the savings one makes by making a cost-friendly dental trip to Mexico, a relaxing vacation at the exotic locations of cities like Cancun, Los Algodones and Tijuana can be planned. Click here for another patient story on itinerary of dental trip to Mexico. Submit the free request quote form on the right for more information on the cost of teeth restoration in Mexico.